Hi there! Thank you for coming here to discuss the loading screens. I created this thread separately so we can keep the other thread limited to submissions only. If you have any questions, concerns, or suggestions, please post them here. What happened to the Creative Convention Hats? Why aren't you giving all participants prizes anymore? We wanted to streamline the loading screen thread and strip it down to its core, intended function: to be a place for fanartists to show off their work and have them put in the game. Adding the element of load-screen-exclusive prizes was unfair to others who did not participate in the load screens, or worse, gave some the incentive to spam the thread with low-effort entries made only with the intention of gaining a prize. Why are you still doing a raffle, then? For fun Submitting doesn't guarantee you a prize, but it still gives you a chance to win one just by submitting work to us! Doesn't it defeat your purpose if the raffle prize is still exclusive to the loading screens? It would... if it were exclusive to the loading screens, which it isn't! Although the item is new, we will be using it in the future for other contests, raffles, and events. The raffle prize will be named for load screen raffle winners all the time though, which is pretty special and and of itself. I was just talking about wanting to do this! Very excited! does commission arts get reward even they not.... owner? commission arts r good, sounds unfair eh? Hmm, this sounds like a return back to the spirit of how the loading screen threads were before the introduction of prizes. Not a fan of the raffle prize thing, since it still presents the opportunity to reintroduce the abusable contests and participation prizes issue that caused everything to go to Hel to begin with. For this example, imagine the official art was entered by a user as a potential loading screen. I have no shame in admitting I have two favourites here. I think I break no rules when I say I viscerally hate two of these. Art can evoke feeling and I would rather have the empty blackness of the void as a load screen than look at those two. Now imagine the TerraGloria artist's feeling if they fail the RNG raffle and come away with nothing. Yeah, they're not gonna try next time. Art can be evaluated; we do it all the time. There's only one sure-fire way to quality control and that's for the GM to have some standards and have the balls to judge. Edited by Haroichi, 02 June 2018 - 06:21 AM. I think the rules are fine, this make the thread into.. more like "donate your art to participate in the raffle" seems fair to me since I take this thread as pure fun to everyone! Astra I think you can add the cretive convention hat too, time to time and if may I do a suggestion... how about do the raffle 1 winner per week and raffle 1 different hat for every raffle? Edited by ShenYuel, 02 June 2018 - 07:34 PM. Finally! loading screen going to change! Been hyped about this since I returned XD Not to keen of the current ones. I have a question, where can I find these load screens to download? I'm talking about iro, both old and new. p.q always bad lucky for RNG. Feel stressful for the word "quality" control. p.q what is the acceptable quality? Commissioned art submissions have been a part of the loading screen thread tradition for a while, and I haven't changed it for this. If someone submits a commissioned art, the submitter will get the prize if they are selected via raffle but not the artist. This doesn't solve the issue of low-quality entries polluting the loading screen pool. This change still incentivises entering something, anything, for a chance at getting something valuable. In fact, I'd argue that this potentially punishes high-quality artists. We absolutely do run art contests on the forums that are judged based on originality of concept as well as skill of execution, all judged by a panel of WarpPortal staffers such as myself. The purpose of the loading screen is to allow fanartists of all skill levels to share what they've made and have it show up in game. So, yes, art CAN be evaluated, can be judged, and high-level artists can be rewarded.... and they frequently are, in a contest setting. So did it change this maintenance? Edited by KunKnee, 28 June 2018 - 08:24 PM. Edited by KunKnee, 28 June 2018 - 08:21 PM. 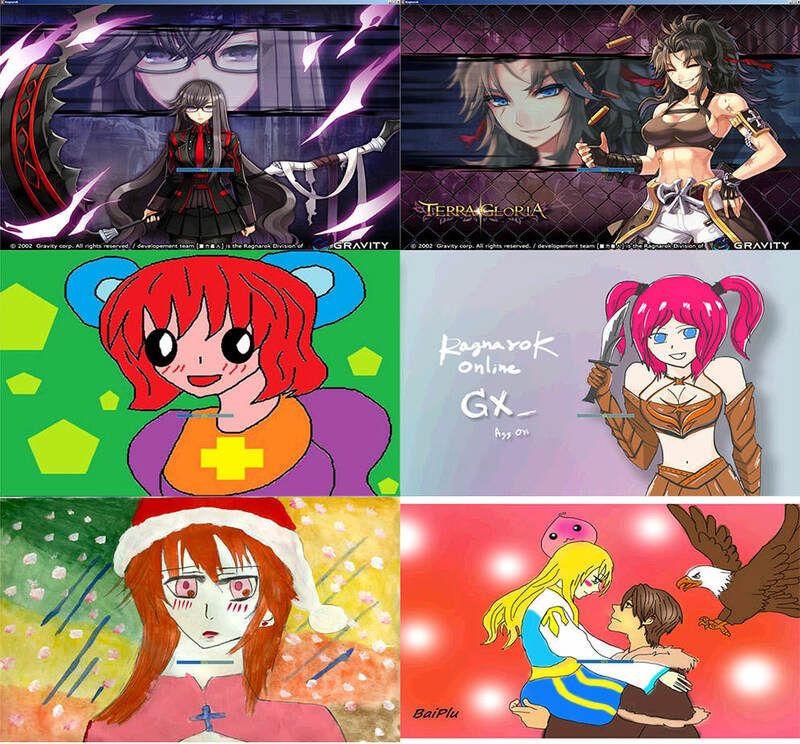 Congrats too all raffle winner , may I ask, after the raffles winner is selected, to join next raffle, the artist(win and no choosen artist) need to resubmitted a new art to join 2nd raffle? I think you would still need to submit a new one. Because if it's not included in the current batch of loading screens that were added in-game, then chances are it didn't get approved or something. >< You could still poke the staff to check on it though! Another raffle question: Do people who have previously won the raffle get another chance of winning for the next raffle? Edited by KunKnee, 04 July 2018 - 09:32 AM.